At the bakery, kiosk, convenience store or petrol station – “coffee to go” has become an important part of our quality of life. It has almost reached cult status; it must be fast but still something special that you can enjoy on the go. If the quality is right, coffee sales in shops and stores are an attractive source of additional business. High performance in a tight space: we have designed our slim coffee machines in the Melitta® Cafina® XT generation to be compact without doing away with the high quality components. International convenience store chains are finding success all over the world with them. Why don’t you offer your customers coffee to stay or go with reliable top quality in a small space too. Our slim and compact XT series is designed for tight workspaces – and with its elegant design and narrow footprint, it is also a trendy eyecatcher that encourages self-service at the tough glass panel which is arranged ergonomically at an angle. Use the large multimedia touchscreen as an advertising space as well and display your special offers. Then you can sell your snack of the day at the same time to go with the delicious cappuccino. Place your coffee counter where you want it. 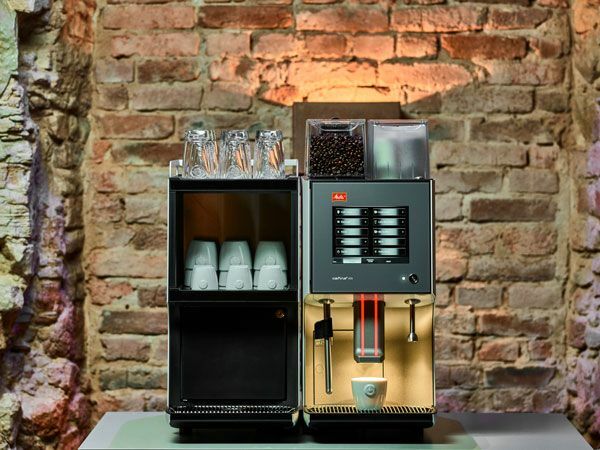 Our XT series is flexible – with mobile coffee centres in various sizes, variable add-ons and payment modules. About 250 outlets were nominated in 20 categories for the Airport Food & Beverage Award (FAB Award) 2017. At the award ceremony on 22 June in Toronto, which was organised by the international tourism media “The Moodie Davitt Report” and “The Foodie Report”, the prize for the biggest wow factor was awarded for the first time. 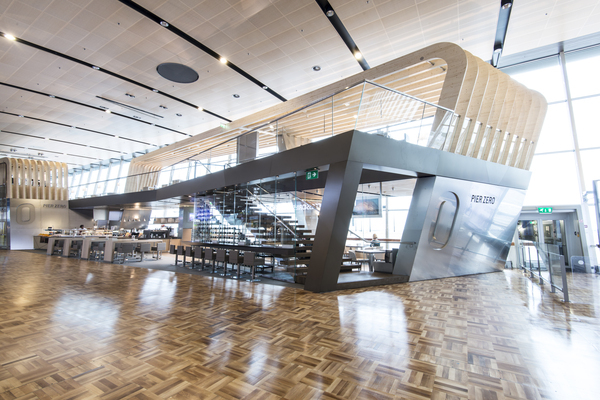 And it’s true: this really is the impression that visitors get from the winner at Helsinki Airport in Finland, the “Pier Zero”, restaurant and bar, designed by HMSHost International.